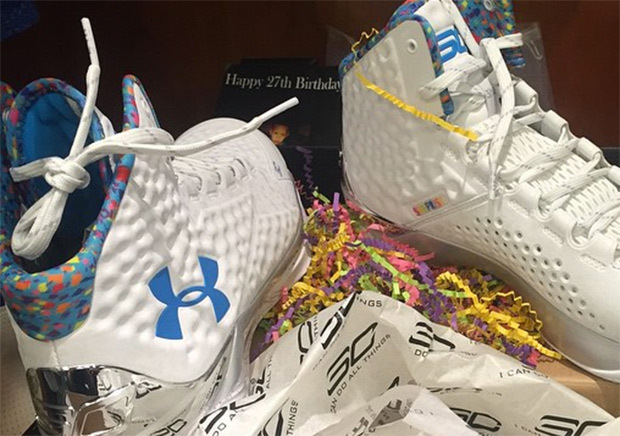 It may be months after Stephen curry’s birthday—March 14th—but Under Armour has decided to drop his birthday kicks worn way back when he turned 27 all those months ago. 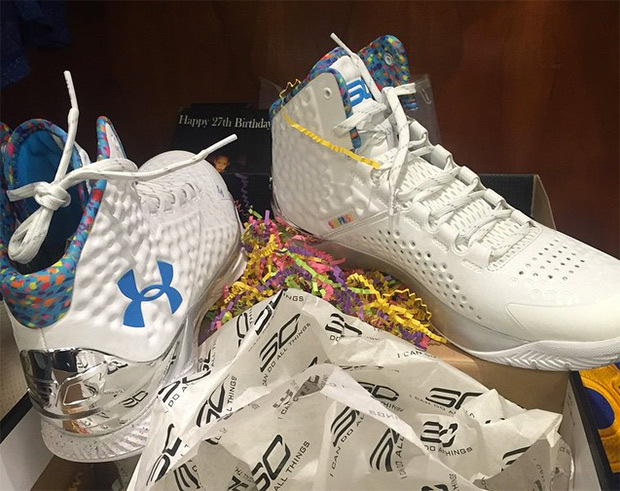 The definition of a belated happy birthday, the festive take on the Curry One is hitting select Under Armour retailers on October 3rd. The celebratory b-day kicks lead up to the upcoming Championship Pack release of the Curry One, which will be the very last drop of the shoe before the Curry 2 hits the market on October 24th.